Bert Rotciv was the pseudonym of Bertha Victor, who dressed as a man in the early 20th century. 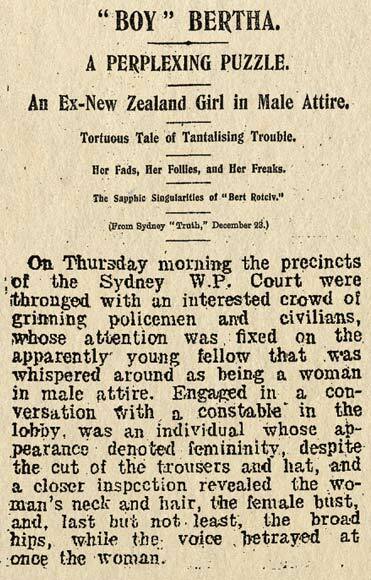 Her biological gender was exposed when she was arrested for vagrancy in Sydney, Australia, in 1906. The case was covered by newspapers in New Zealand and Australia.